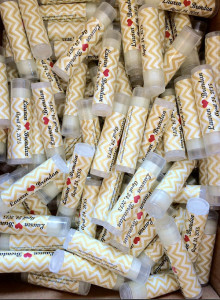 Wedding favors are fun and personable. 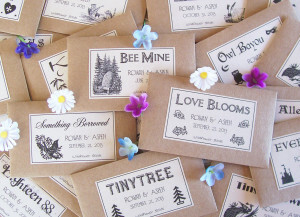 This collection of 25 wedding favor ideas with photos are sure to please your guests! 1. Plant with a cute sign. Plants are eco-friendly and are an easy addition, because the guests don’t have to grow them. 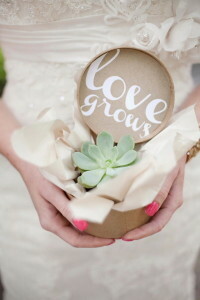 Add a cute sign with it to add some wedding charm. 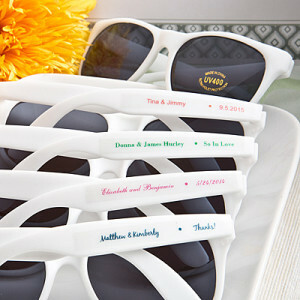 These would be great if you are having an outdoor wedding. Add your wedding hashtag to the sides of them and get them in your wedding color scheme! 3. 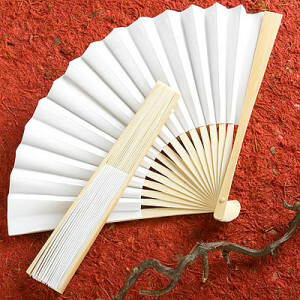 Folding fans that are personalized. 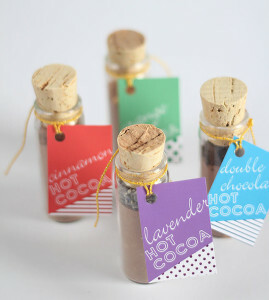 This is another wedding favor that would be great for an outdoor wedding during the summer. You can get them printed with a personalized message. Even better, put your program on the fan. 4. Box some cake up in cute DIY boxes! This is another wedding favor that can knock out two things in one. 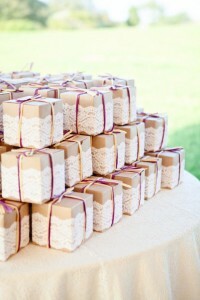 Put extra cake from the wedding a cute DIY boxes and send home with your guests. 5. Macaroons in a take home box. 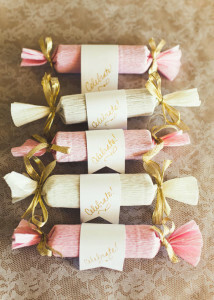 This wedding favor may take more time if you’re making them, but they sure are pretty. 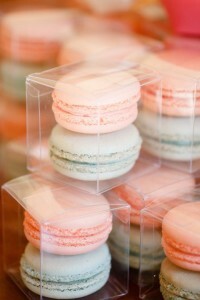 The plus side to macaroons is that they can be any color you want, so you can make them match your wedding color scheme. 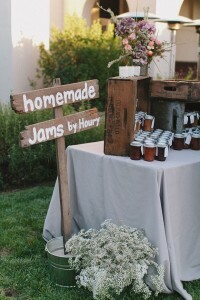 Going along with the edible wedding favor options is homemade jam. A favor that is something sweet that they will use all the time. Put it in a mason jar with a bow for a cute touch. 7. 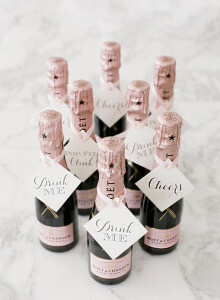 Cute champagne bottles with personalized message. Everybody loves weddings that give away alcohol. For an extra touch, add a straw tied to the bottle. 8. 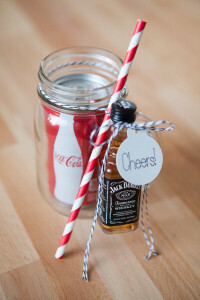 DIY Whiskey and coke mason jar kit. More alcohol! This is for the individuals that don’t want to drink wine. Get the mini cans of soda and drop them in some mason jars for a nice touch. 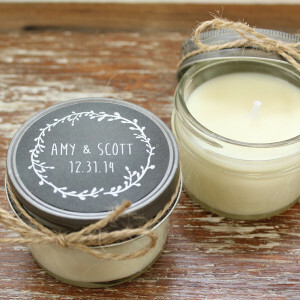 Candles are such a nice wedding favor that most people don’t even think about using. The guests will use them more than you think! They can also be homemade too if you don’t want to buy a bunch of candles. 10. 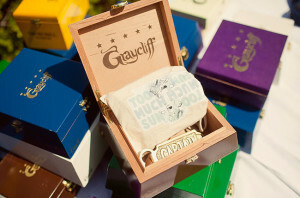 Candy bar with personalized sacks for take home treats. Having an alternative to the alcohol bar would be the candy bar. 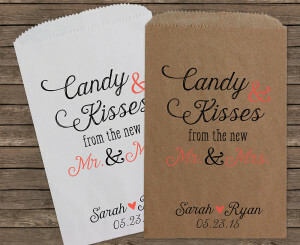 Have cute monogrammed sacks for guests to take home the choice of candy. 11. Homemade cookies with a personal touch. 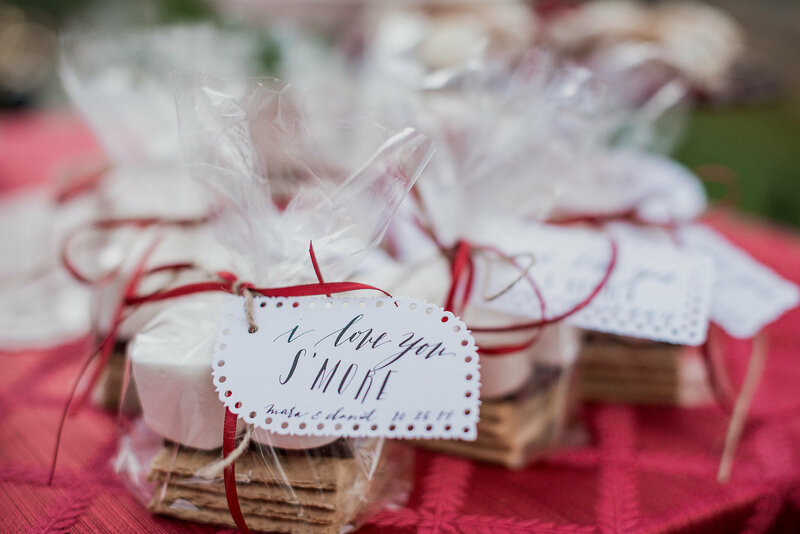 This wedding favor is similar to the candy bar. 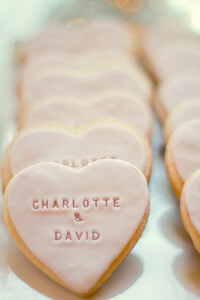 Make some sugar cookies and add your wedding hashtag on the icing! This wedding favor is so much fun and makes for a great exit photograph! 13. 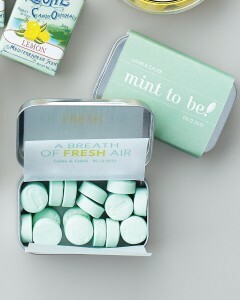 Tin of breath mints. Nobody will be asking if anybody has gum tonight because of their breath from the wine or whiskey. 14. 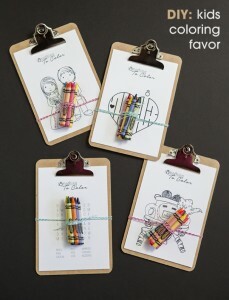 Coloring Kits for the kids! They need something to preoccupy themselves during the service and reception. This is a gift to the parents to, so they don’t have to occupy the kids themselves. 15. 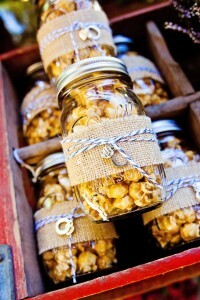 Mason jars full of popcorn. Another alternative bar would be a popcorn bar. These have been increasing in popularity this past year. 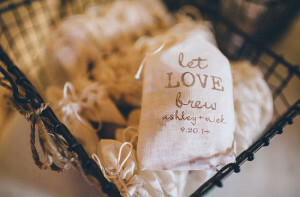 You can have monogrammed sacks or cute mason jars. 16. Cute flip flops to dance in. Nobody wants to dance in their heels, so they either won’t dance or go barefoot. Now they won’t have too! 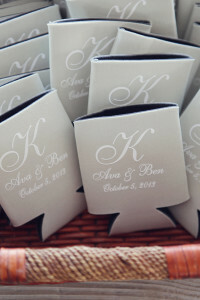 Koozies are a tradition at weddings. Make sure yours have a unique saying on them. 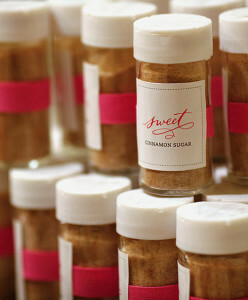 Another unique wedding favor is to give your guest a spice. Put a cute wedding message on it to give it an extra touch. 19. 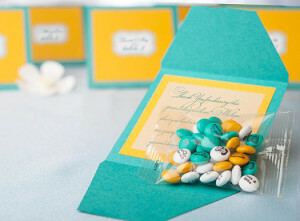 Personalized M&M’s in your wedding color scheme. These could go along with the candy bar. 24. Seeds to grow a plant. Everybody needs a bottle opener!